Scientists Encountering Nonduality from Quantum Physics to Cosmology to Consciousness. 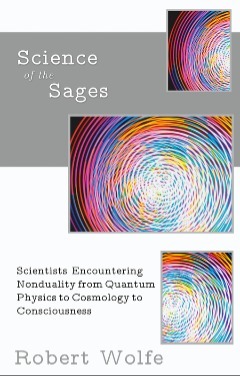 Science of the Sages, Robert's latest book, is a tour through the contemporary scientific view of the universe, from cosmology to subatomic particles, with an eye on its harmony with the conscious insight that has been the message of sages throughout human history. Please consider leaving a review at Amazon.com.